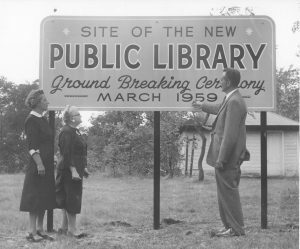 The Holland Area Historical Society will host the program “History of Herrick District Library” on Tuesday, March 14, 2017, at 7:30 p.m., at the Maas Center Auditorium, Hope College, 264 Columbia Avenue, Holland, Michigan. This program is free to the public. The City of Holland opened its first library in 1867 to serve the intellectual needs of area residents. Come learn about the history of the library and its many homes from past director Robert Sherwood and current librarian Mary Vander Kooy.